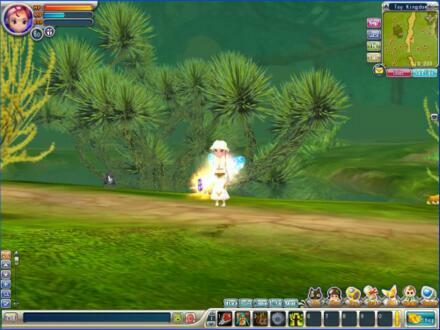 Developed by Ngames for Windows, Fairy Story Online is a 3D fantasy MMORPG set in a world of fairy tales. It is a mix of fairytale adventure and breathtaking combat. Choose your class between: Brave (Users of magic), Naughty (melee fighters) and Sympathy (they use their magical abilities to heal their allies). In the game, you can explore an enchanting 3D fairytale world by foot on or one of a dozen mounts; Synthesize cute pets to fortify your kill attempts in battle; or customize weapons and a range of protection clothing before engaging in battle. It features cards. All classes of cards in the game are our necessities to make better items. Cards with different attributes are embedded into the item to enhance item function, so that item can obtain corresponding attribute and its ability will enhance in different degrees. More free MMORPG Games or Free Kids Games.